Odisha Postal Circle Recruitment 2019 – Odisha Postal Circle invites Online applications for recruitment of 4392 Branch Postmaster (BPM), Assistant Branch Postmaster (ABPM), Dak Sevak Posts. This online facility will be available in the Official website www.appost.in/gdsonline from 15.03.2019 to 15.04.2019. Prospective candidates will have to apply online after carefully reading the detailed advertisement regarding the process of examination, eligibility criteria, online registration processes, application fee/ intimation charges, pattern of examination, Syllabus, How to Apply, Question Paper, issuance of admit cards/call letters, Exam Date, Result Date etc. and ensure that they fulfill the stipulated criteria and follow the prescribed processes. Qualification (i) Secondary School Examination pass certificate of 10th standard with passing marks in Mathematics and English (having been studied as compulsory or elective subjects) conducted by any recognized Board of School Education by the Government of India/State Governments/ Union Territories in India shall be a mandatory educational qualification for all approved categories of Gramin Dak Sevaks. (Referred to in Directorate Order No 17-31/2016-GDS dated 25.06.2018). (iii) Basic Computer Training The candidates for all approved categories of GDS referred to in (i) above will be required to furnish Basic Computer Training Course Certificate of at least 60 days duration from any Computer Training Institute run by Central Government/State Government /Universities / Boards / Private Institutions Organizations. This requirement of basic computer knowledge certificate shall be relaxable in cases where a candidate has studied computer as a subject in Matriculation or class XII or any other higher educational level and in such cases, a separate certificate will not be insisted upon. 1. Branch Postmaster (BPM) The Job Profile of Branch Post Master will include managing affairs of GDS Branch Post Office, India Posts Payments Bank (IPPB) and ensuring uninterrupted counter operation during the prescribed working hours using the handheld device/Smartphone supplied by the Department. 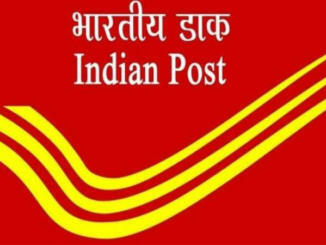 The overall management of postal facilities, maintenance of records, upkeep of handheld device, ensuring online transactions, and marketing of Postal, India Post Payments Bank services and procurement of business in the villages or Gram Panchayats within the jurisdiction of the Branch Post Office should rest on the shoulders of Branch Postmasters. However,the work performed for IPPB will not be included in calculation of TRCA, since the same is being done on incentive basis. Branch Postmaster will be the team leader of the GDS Post Office and overall responsibility of smooth and timely functioning of Post Office including mail conveyance and mail delivery. He/she might be assisted by Assistant Branch Post Master of the same GDS Post Office. BPM will be required to do combined duties of ABPMs as and when ordered. He will also be required to do marketing, organizing melas, business procurement and any other work assigned by IPO/ASPO/SPOs/SSPOs/SRM/SSRM etc.In some of the Branch Post Offices, the BPM has to do all the work of BPM/ABPM. 2. Assistant Branch Postmaster (ABPM) The Job Profile of Assistant Branch Post Master will include all functions of sale of stamps/stationery, conveyance and Delivery of mail at doorstep deposits/payments/other transactions under IPPB, assisting Branch Postmasters in counter duties using the handheld device/Smart phone supplied by the Department. However,the work performed for IPPB will not be included in calculation of TRCA, since the same is being done on incentive basis. He will also be required to do marketing, organizing melas, business procurement and any other work assigned by the Branch Postmaster or IPO/ASPO/SPOs/SSPOs/SRM/SSRM etc. ABPMs will also be required to do Combined Duty of BPMs as and when ordered. 3. Dak Sevak The Job Profile of Dak Sevaks will include all functions of viz sale of stamp sand stationery, conveyance and delivery of mail and any other duties assigned by Postmaster/Sub Postmaster including IPPB work in the Departmental Post Offices/RMS. However, the work performed for IPPB will not be included in calculation of TRCA, since the same is being done on incentive basis. He may also have to assist Post Masters/Sub Postmasters in managing the smooth functioning of Departmental Post Offices and do marketing, business procurement or any other work assigned by the Post Master or IPO/ASPO/SPOs/SSPOs/SRM/SSRM etc. There will be no relaxation in upper age limit to EWS candidates. However, the persons belonging to EWSs who are not covered under the scheme of reservation for SCs, STs and OBCs shall get 10% reservationin engagement to the Gramin Dak Sevak posts in the Department of Posts as per Directorte instructions circulated vide no. 17-09/2019-GDS dated 26.02.2019. All Recruiting Authorities shall maintain reservation for persons with disabilities to all categories of GDS posts except for persons with benchmark of disability “Blind” (for all categories of GDS). Percentage of reservation may be maintained as in the case of SC,. ST and OBC categories in GDS posts as per Directorate order no. 17-08/2017-GDS dated 26.02.2019. Relaxation in upper age limit is subject to the condition that maximum age of the applicant on the crucial date shall not exceed 56 years. Odisha Postal Circle may follow the following process to select the candidates. No weightage will be given for higher educational qualification. Only marks obtained in 10th standard of approved Boards aggregated to percentage to the accuracy of 4 decimals will be the criteria for finalizing the selection. Passing of all the subjects as per the respective approved board norms is mandatory subject to the conditions refered in Clause B of Notifications pertaining to Required Educational Qualifications for taking candidate into account for calculating the merit. iii. Candidates having both marks and grades in the marks list have to apply with marks only. 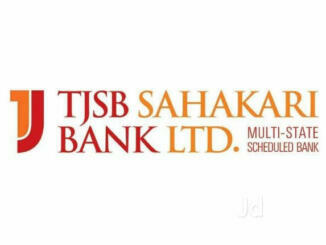 In case any candidate apply with grades only his application liable for disqualification. iv. In case of the marks lists containing the Grades/ Points, marks will be reckoned by taking conversion of Grades and points with the multiplication factor (9.5) against the maximum points or grade as 100. A candidate can apply for a maximum of twenty posts as per cycle of online engagement. This inter alia means that a prospective candidate can apply for twenty posts on a single application spread across one or all Circles. However, this count of twenty posts is inclusive of vacancies arising in candidate’s Home Circle. (Home Circle means the circle in the native/ domicile state of prospective candidate in which he/she is permanently residing and studied SSCwhere Postal Circle is providing opportunity). Hence, candidates should be advised to exercise due care while utilizing the twenty choices available to her/him in each Cycle. However, only one post will be offered for each Circle if she/he has applied for one or more posts in each Circle. vii. If a candidate opts for five posts with preference post1, post2, post3, post4, post5 etc and selected as meritorious in more than one post, the post in the order of preference will be offered and the candidature for all the remaining posts will be forfeited. Similarly in case of candidate has applied for more than one circle only one post will be offered per circle. viii. Applicants submitted applications without complete data will also be rejected from consideration. Applicant belonging to the category UR/OBC/EWS Male have to pay a fee of Rs.100/- (Rupees one hundred only) for each set of five options. Payment of fee is exempted for all female candidates, all SC/ST candidates and all PwD candidates. On engagement as GDS, the person so engaged shall be required to furnish security in such manner as may be prescribed from time to time. The existing security amount in case of GDS Branch Postmaster and other approved categories of GDS is ABPM & Dak Sevak is Rs.25000/- & Rs. 10,000 respectively. 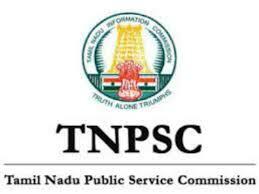 TNPSC Recruitment 2019, 20 DEO Vacancies, Apply online @ www.tnpsc.gov.